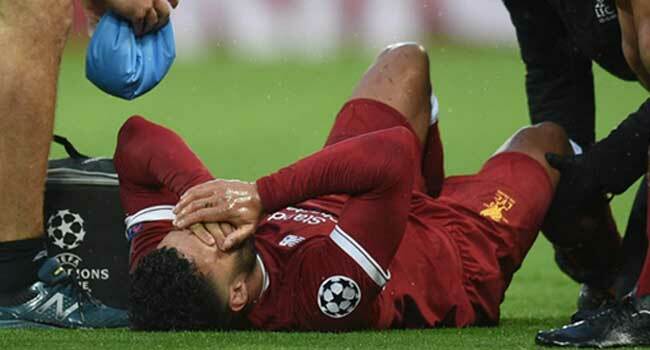 Liverpool midfielder Alex Oxlade-Chamberlain is likely to miss the whole of the forthcoming season. The Premier League club said on Wednesday that they were already aware of the grim scenario. Oxlade-Chamberlain, 24, suffered multiple knee ligament damage during the first leg of the Champions League semi-final against Roma in April and underwent successful surgery eight days later. “The estimated length of his lay-off was not revealed at the time at the request of Oxlade-Chamberlain, who did not want the news to distract from the Reds’ ongoing Champions League run and the excitement surrounding it,” said a Liverpool statement. Manager Jurgen Klopp told liverpoolfc.com that he was aware that the former Arsenal star would likely be unavailable for the 2018/2019 season. !It feels like now is an appropriate time to tell people that for Ox this coming season will be about focusing on recovery and rehab,” said Klopp. Oxlade-Chamberlain joined Liverpool last summer from Arsenal in a £35million deal but the injury ruled him out of the Champions League final against Real Madrid and the World Cup with England. “It is so important — because of how valuable and important he is to what we are looking to do here in the coming seasons — that the focus is on doing this right and not rushed. Ox is completely on board with this approach. “He is such an outstandingly good person and someone who even when not playing is integral to the heartbeat of (training centre) Melwood. Klopp has already boosted Liverpool’s midfield ahead of the new season by signing Naby Keita, Fabinho and Xherdan Shaqiri.